I reviewed the real money games at Black Chip Poker, which is on the Winning Poker Network, over the past year. The Black Chip bonus is average, but the poker room has massive tournaments and strong cash traffic. It's a solid poker site, but the lack of mobile or Mac software is a big negative. Underneath an unassuming website lies Black Chip Poker, part of arguably the most successful US poker network. They're have about as much original personality as a box of oatmeal, serving as a very simple rebrand of the flagship site America's Cardroom. Both Black Chip Poker and America's Cardroom are on the Winning Poker Network, sharing every table and tournament with each other like an old married couple eating early bird. Poker players should thank their stars, because Black Chip Poker and Winning have been killing it for years now. Every year, Black Chip Poker has gained players, ideas, and promotions. They're in a good spot. In fact, Black Chip Poker is one of only 3 US poker networks I think will be shuffling up and dealing long-term. One of the weirder things Black Chip Poker is trying out is this roulette-like gamble offer when you're down in a cash game and exit the table. Some of it seems plain wacky for the sake of exposure, but, hey, Blackchip is trying in a sea of stagnation. I first played at and reviewed the roots of Black Chip Poker in 2004. At that time it was a me-too third-rate site (remember Yatahay anyone) fighting a war against superpowers. These days? I fully trust Black Chip Poker with my bankroll, and they’re one of the biggest US poker sites overall you can play at. Aside from the foolish software fails on Mac and mobile, Black Chip Poker reviews very well across the board. Is Black Chip Poker legit? They don't do a whole lot to stand out, but it's Black Chip Poker's wide-ranging solidness that earns it a favorable review. Solid traffic is a big selling point, taking up permanent residence as #2 in the US poker scene. I love Black Chip Poker's no-nonsense payouts, sending my Bitcoin within 24-36 hours. Surprisingly, some of the largest tournaments online, albeit with my pet peeve of crazy rebuys. Perhaps best of all? Black Chip Poker and the Winning Network are innovating online poker more than almost any other poker room. Blackchip has been a slow but persistent burn over the past several years. You’ll probably enjoy the heat. Black Chip Poker certainly isn't without its flaws, however. The most egregious to me is the baffling lack of a Mac software version or any kind of Black Chip mobile app. That's inexcusable and just feels tone deaf at this point. Also, this is going to polarize players, but I don't support Black Chip Poker's pandering to the H﻿﻿UD b﻿﻿as﻿﻿e. They take no steps to anonymize tables or protect recreational players. In fact, they openly support HUDs like PokerTracker and Hold'em Manager, which may appease grinders, but will probably kill the Black Chip Poker game quality over time. 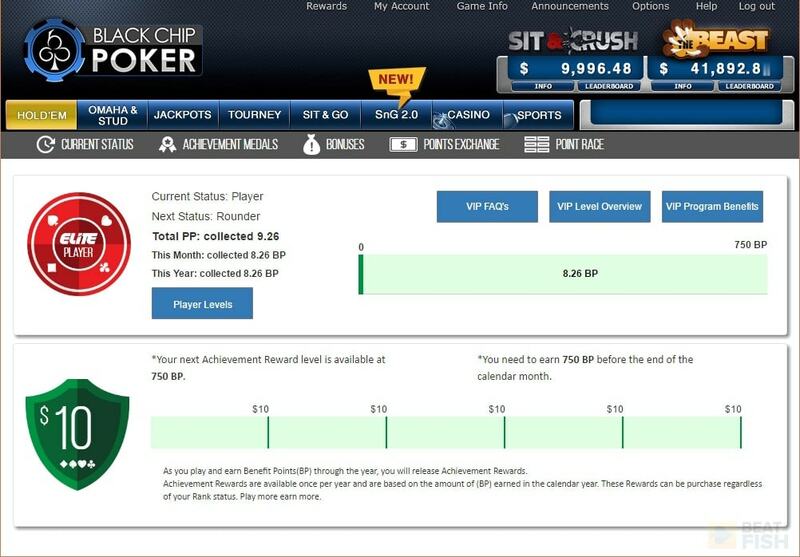 Black Chip Poker displays your deposit bonus progress very nicely and you can claim it every time you earn $1. Be sure to click this Redeem button to transfer money from your bonus account to your real money balance. Black Chip Poker has a 100% bonus, or what I call the "GPS" of poker bonuses. The car salesman says even the base model has GPS? Sure, it's nice to have, but it's just expected because everyone has them these days. The 100% deposit bonus can be used up to $1,000. Just like everywhere else, you have to play and rake to earn it. You'll also need to use the BCPBTF Black Chip Poker bonus code at signup to guarantee you get the full bonus. On review, I found Black Chip Poker awards it at an average to slightly below-average rate, about $.75-1 per $.50/1 table per hour. It's glorified rakeback for 60 days. Black Chip Poker has a decent promotional offering, without that one standout feature to put it over the top. It’s what you’d expect, and, with the games being the quality they are, it seems to be enough to keep attracting new players. Busy grinders will earn a lot. Microstakes grinders and noobs will see very little. It's the classic problem with online poker bonuses. The Black Chip Poker bonus is no different. The other promotion that Black Chip Poker likes to list with its deposit bonus is the private depositors freeroll, which runs every Saturday. The prize pool is quite modest at $250 per event, but because it’s limited to new depositors you usually won’t see more than 100 players there. 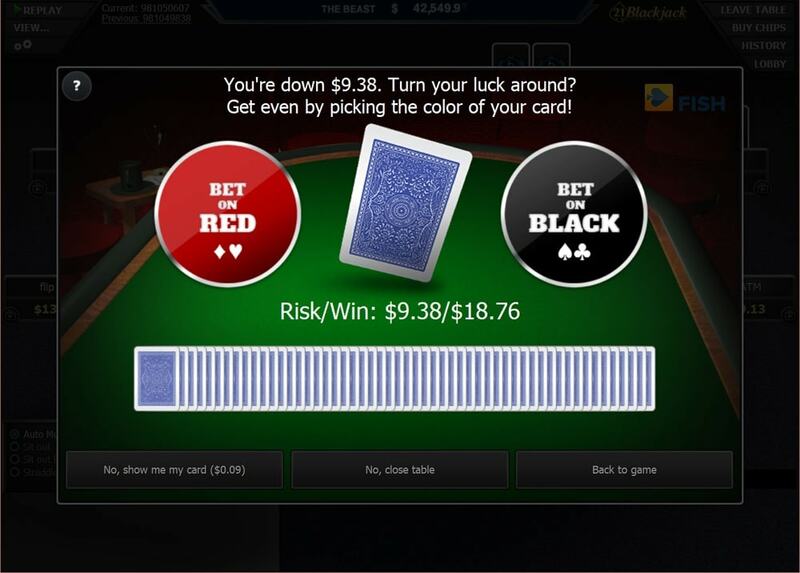 It’s a quick and dirty way to win a few bucks and try out the Black Chip Poker tournament system. You do get to play in every one of these for the month you deposit in, which is a nice bonus. The Beast is one of the best Black Chip Poker promotions, since it’s basically a rake race that gives about 60-70 players cash prizes every week of up to $2,500. The best part about this is Black Chip Poker doesn’t take extra rake to fund it, which is unlike anything similar I’ve seen at other poker sites. The only issue is, with it all based on how much you “feed the beast” in rake, Black Chip Poker is really only going to be giving this to top grinders. If that’s you, however, it’s one of the best promos of its kind. Rounding out the promotions is what Black Chip Poker calls “Elite”. It’s just like every other rewards program you’ve seen. Earn Player Points at Black Chip Poker with cash game rake and tournament fees and use them for merchandise or tournament tickers. It’s nice to have, although I don’t like that Black Chip Poker followed the old PokerStars model of making players earn points each and every month to maintain their Elite level. Black Chip Poker came up with a clever idea to run on-demand freerolls rather than going by a convoluted schedule. Bankroll-challenged players will like it because you literally can play these at Black Chip Poker around the clock if your mental health is up to it. The prizes are a paltry $10, but they start once or twice an hour once enough players fill in. You’ll usually be up against around 500 players per Black Chip Poker freeroll, which is manageable. The Black Chip Poker rewards section is very nice and the tables look sharp, but the lack of Mac an/or mobile software is bafflingly stupid. For all the caterwauling that escapes online poker player’s fingertips, I think the significance of software is overstated. Black Chip Poker is a good example. It’s solid if unspectacular, with sharp graphics, lots of customizations, pretty backgrounds, and a huge 20-table max for multi-tabling. The Jackpot and Sit and Go 2.0 interfaces were done especially well. Black Chip Poker also recently added some nice small touches like player avatars. The Rewards section is especially well done, allowing Black Chip Poker players to track their bonus release progress down to the fraction and easily see progress for medals and achievements. So what about Black Chip Poker’s mobile app software or no-download option? After all, citizens of the world are now surgically attached to their smartphones so there’s no way a poker site would actually ignore… Cue the fail horn. Seriously - Black Chip Poker and the rest of the Winning Poker Network have nothing for smartphones or tablets. The Blackchip website isn’t even mobile responsive for crying out loud. Here’s hoping that Black Chip Poker gets their head out of the sand with mobile soon. Whatever it costs to develop, they need to do it. Playing at Black Chip Poker? I hope you like re-buys, re-entries, add-ons, and even lottery spins in your tournament schedule. It's how the poker room achieves such massive tournament numbers. Black Chip Poker wins my David Copperfield award for poker tournaments. The results are very impressive, but it’s done with a lot of smoke and mirrors. First of all, give Black Chip Poker credit for spreading out big daily guarantees throughout the week. You’ll see numerous tournaments at Black Chip Poker with guarantees of $1,000-5,000 almost every hour, but they go all the way up to things like $50,000 every Wednesday for the uncommonly low buy-in of $100. 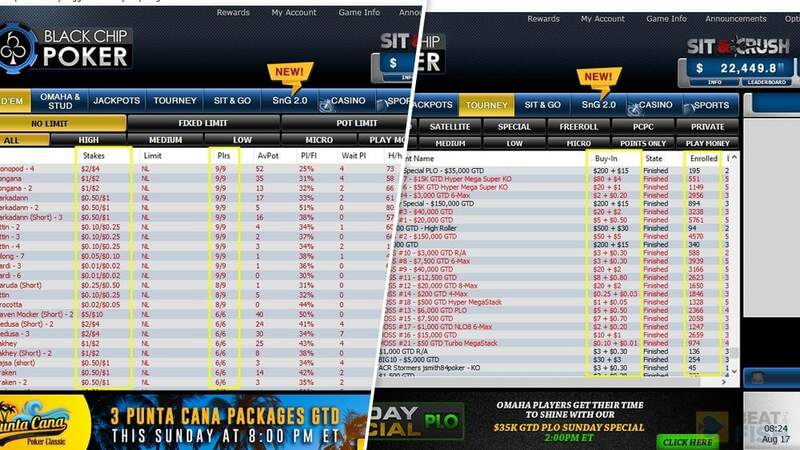 Black Chip Poker has respectable tournament numbers even if you aren’t in the US. If you are, they’re the highest you’ll find. Every Sunday brings a $150,000 guarantee, again with a very reasonable $200 buy-in. No one else open to Americans but Black Chip Poker can touch that, especially at that buy-in. What’s more is Black Chip Poker occasionally runs “Million Dollar Sundays” for $540, which is just what it sounds like. Black Chip Poker only does this a handful of times per year, but they’re the only poker site other than PokerStars with tournaments this size. Black Chip Poker has been growing in traffic for the past 5 years, so, short of Ignition Poker, they’re the only ones in the US that can offer large guarantees. They’ve got the player base that will show up, usually about 300-1,000 players for routine tournaments, which is very good. So, bravo certainly Black Chip Poker, you’ve made the Statue of Liberty disappear and sawed me in half. 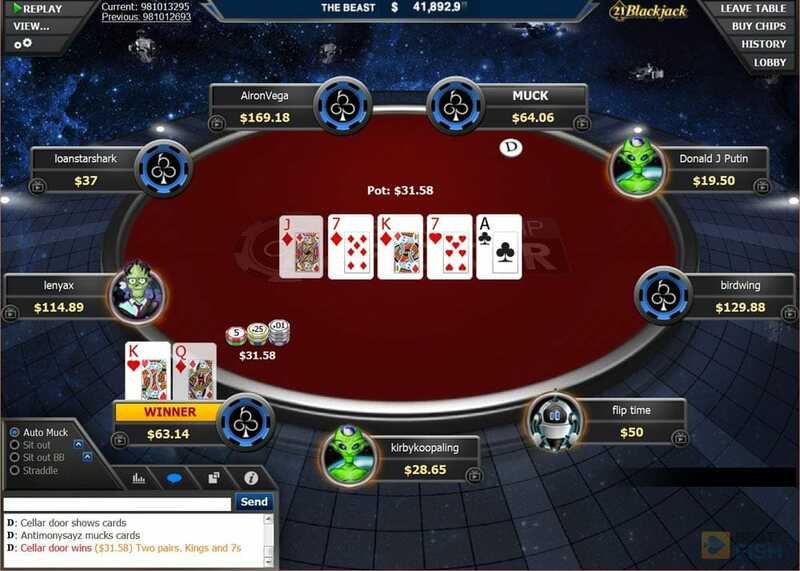 Black Chip Poker and the Winning Network are the only poker sites open to the USA offering hyper-turbo winner-take-all Sit and Go's with random prizes. Blackchip calls it Jackpot Poker. B﻿ehind the curtain of Black Chip Poker's gaudy tournament numbers? Perhaps this is a “get off my lawn” rant from a grizzled online poker vet, but Black Chip Poker fakes a lot of their tournament numbers. How? Some quick math review tells me that 88-90% of Black Chip Poker tournaments allow re-buys! Contrast that with a US site like Ignition, where those numbers are flip-flopped. 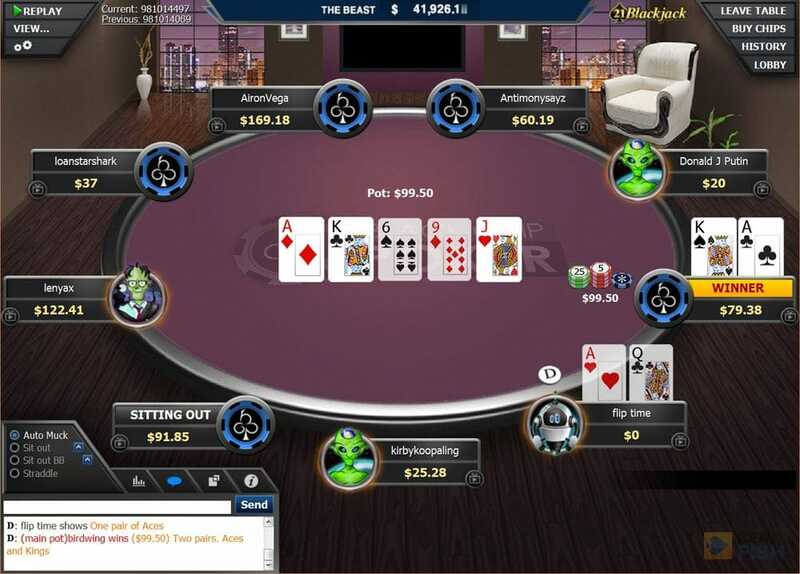 I understand that re-buys and lotteries and spins and add-ons and the thin translucent line between luck and skill in online poker tournaments is just part of the modern game. I get that, but I still don’t like it. Black Chip Poker can offer such nice guarantees because they have donks throwing money from their mouse fingers over and over again until they go on a heater or go bust. Sensible Black Chip Poker players still “have to” take a re-buy and/or add-on to be competitive. The result is deceptive buy-in numbers and inflated guarantees. If you don’t mind (or even like) re-buys then you’ll love the tournaments at Black Chip Poker. They’re busy, big, and wild. Just keep in mind that you’ll probably spend 2-3x the listed buy-in at every Black Chip Poker tournament. One big praise I have for Black Chip Poker in my review is how many new concepts they’re putting out. One underrated invention from Black Chip Poker is the hybrid cash game/tournament, which I love. With these, Black Chip Poker has players pay a set buy-in like a tournament and there are escalating blind levels. The beauty is that the chips have real cash value. You have to play until the end, there is no re-entry, and then you’re credited in money with however many chips you’re left with. It’s really unique, and Black Chip Poker is the only site doing this.The only drawback is its rare appearance and range of buy-ins. The Cage costs $1,050 and only takes place on Wednesdays, with The Playpen costing $10.50 on Fridays. One factor that may help loosen Black Chip Poker cash games is the fact that bonuses and player points are based on rake you personally contribute to each hand. Calculating a hard Fish Rating review on stats these days isn’t an easy task. As we’ve entered the anti-HUD era (of which I’m a full supporter), poker sites don’t make many stats available to players. Black Chip Poker is an exception, publishing all player names, flop percentages, and average pots right there in the lobby for all to see. The problem, as I’ve been witnessing at Black Chip Poker and the Winning Poker Network for years, is that they aren’t accurate. This is a legacy issue for Black Chip Poker. You’ll literally see 100% flop percentages combined with 0 hands per hour. 100x big blind average pots with 5% flop numbers. The Blackchip software calculations are broken, which should have been fixed ages ago. All that aside, Black Chip Poker does play fairly loose with above-average metrics. My averages show about 25-30% as typical flop numbers for 9-seated tables and 30-40% for 6-seated tables. That puts Black Chip Poker in a pretty nice spot, probably only lagging behind Ignition for the loosest tables in the US. Anecdotally, I’ve also found the Black Chip Poker network player base to be beatable overall and happily include them in my cash game rotation. As I mentioned in the tournament section review, Black Chip Poker tournaments often play like a birthday party full of sugared-up 5-year-olds, with re-buys galore and all-in fests in hyper-turbo donkaments. It can feel like too much, but, really, if you can withstand the early rounds, the tournaments especially can be some of the most profitable online. 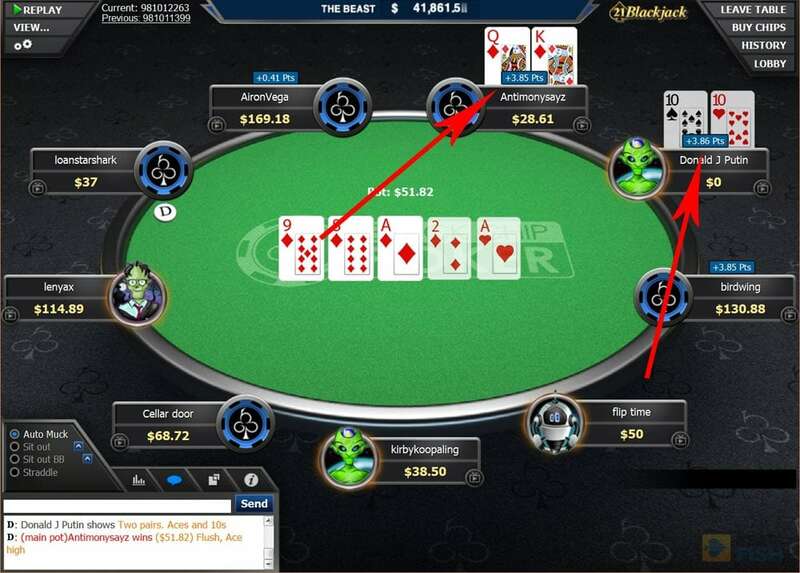 One issue that I take exception to with Black Chip Poker and the Winning Poker Network overall is their embracing of Heads-Up Displays (HUDs). Black Chip Poker has gone against the general trend of other online poker sites and offers no anonymous tables or blocking of table stats. What’s more is they even advertise their compatibility with HUDs like Hold’em Manager and PokerTracker. Great for grinders, but I have doubts that they can maintain their loose player base if they’re complicit in making casual players targets. I’d like to see Black Chip Poker reverse that position at some point. I have nothing but good things to say about Black Chip Poker withdrawals. They're fast and offer every payout method you need. It seems like Bl﻿﻿ack Chip Poker and the entire online poker site market finally learned that they’re only as good as their payouts. I’ve been really pleased with how Black Chip Poker has handled payouts, quietly beating just about everyone in the US market. I’ve never waited longer than 48 hours to receive a Bitcoin payout from Black Chip Poker and have sometimes gotten them in less than 12. The only mild BS comes from the limited hours of the day Black Chip Poker allows you to request Bitcoin withdrawals (seriously?) and the extra confirmation email you have to send with bigger payouts. For you Luddites out there who still deal with checks, you’ll get them within a week. Cash transfer allows you to cut that in half. I also really like that Black Chip Poker offers an ATM card payout service, where you can have payouts directly loaded for cash withdrawal. Everyone should be feeling Bitcoin these days, but Black Chip Poker accepts credit cards and built-in support for cash transfer if you're still too lazy to figure out the awesomeness of cryptocurrency. You know what I would love to see? 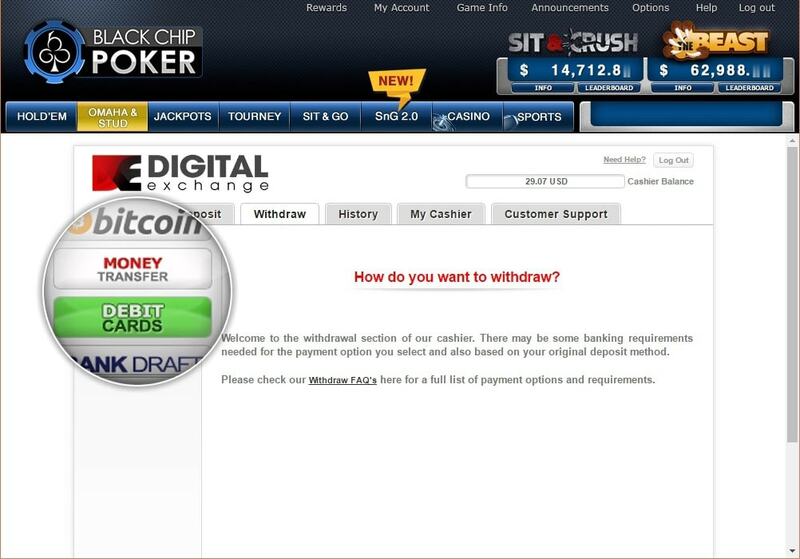 A mainstream poker site like Black Chip Poker accept nothing but Bitcoin deposits and only send Bitcoin payouts. 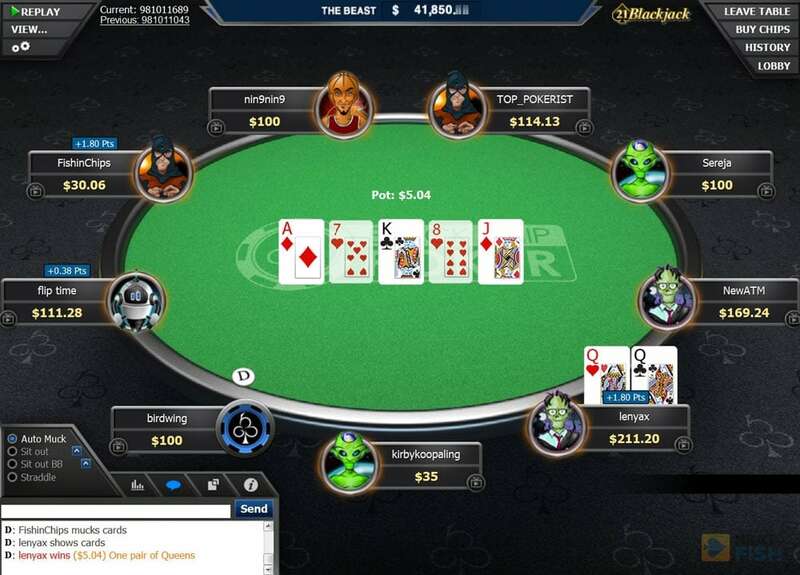 You’d solve every deposit issue at Black Chip Poker and elsewhere by making players use the best deposit option we’ve ever seen for online poker. Alas, that is not this day. 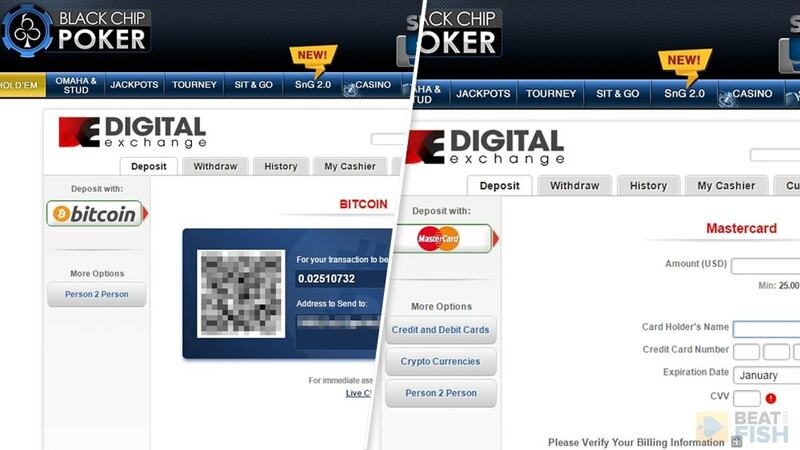 Bitcoin is certainly an option at Black Chip Poker, and they accept deposits starting at a $25 minimum. For you old-school types, credit card deposits are accepting at Black Chip Poker with no fees and their success rate is slightly above average. My review shows that about 60-70% of cards will process without being blocked. I also like that Black Chip Poker accepts cash transfer directly using either WU or MG. Cash transfer can’t be blocked and sending allows you to control what personal information is listed. Black Chip Poker even advertises that they’ll cover the sometimes-significant fees for MG deposits over $100 and WU deposits over $300. All in all, that covers the better poker deposit methods from the US and the most common methods for the rest of the world. Check out the Black Chip Poker cash game and tournament traffic. Quite impressive with at least $5/10 games around the clock and close to 2,000 tournament players. Black Chip Poker is a perfect example of naturally building poker player traffic through steady persistence of improvement. 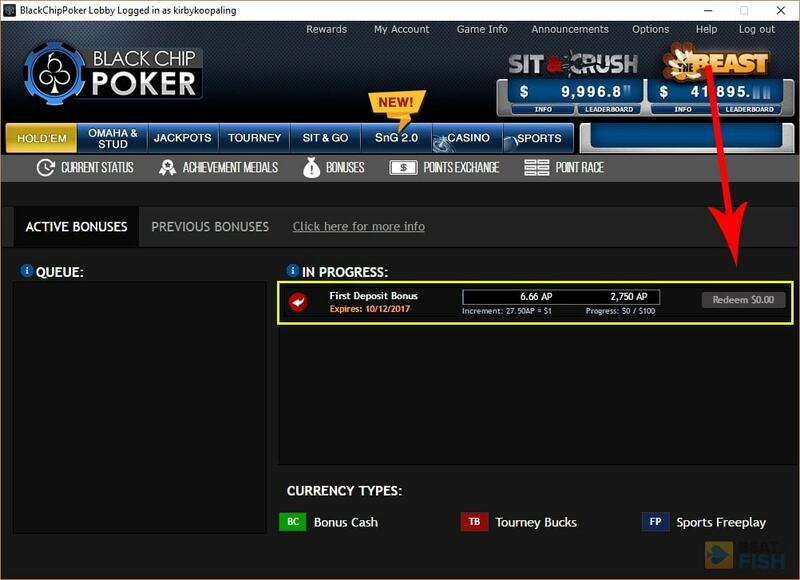 I first started taking the Black Chip Poker network seriously back in 2013, when they were gaining a lot of traction as one of the few decent US options. Today, Black Chip Poker is in the global top 10 for online poker player traffic, averaging between 1,000-1,500 cash game poker players and larger tournaments drawing double that. In real terms? You’ll see Black Chip Poker’s cash tables up to the $5/10 level filled throughout the day. 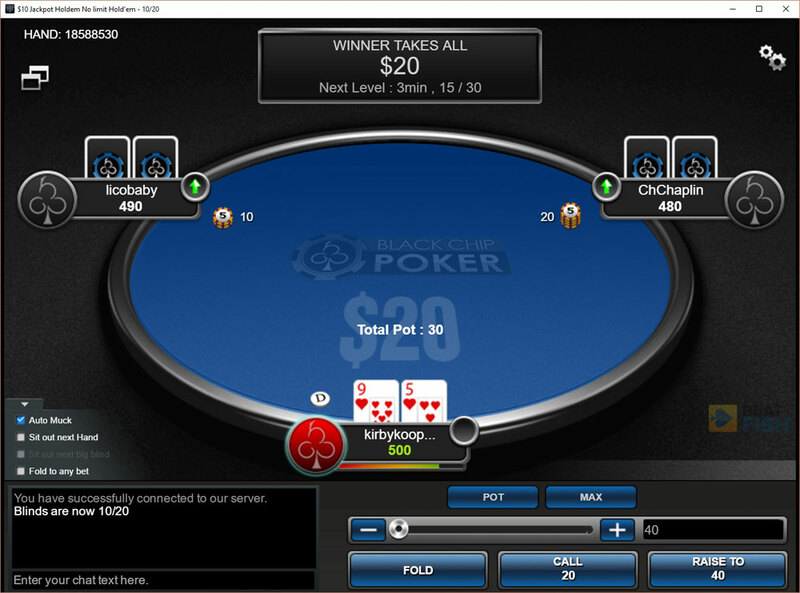 Black Chip Poker Sit and Go’s fill up to the $20 level in minutes and $100 for heads-up. That’s very solid, and I’ve never found myself saying, “Self, I wish Black Chip Poker had more players. These poker tables are ghost towns.” The same can’t be said for some of Black Chip Poker’s competition. Black Chip Poker accepts all US players for real money and, in fact, specifically targets them. Only regulated states like Nevada, New Jersey, and Delaware are not allowed to create Black Chip accounts. Along with BetOnline and Bovada, the Winning Poker Network is one of only 3 USA-friendly networks that gets decent traffic and I trust. 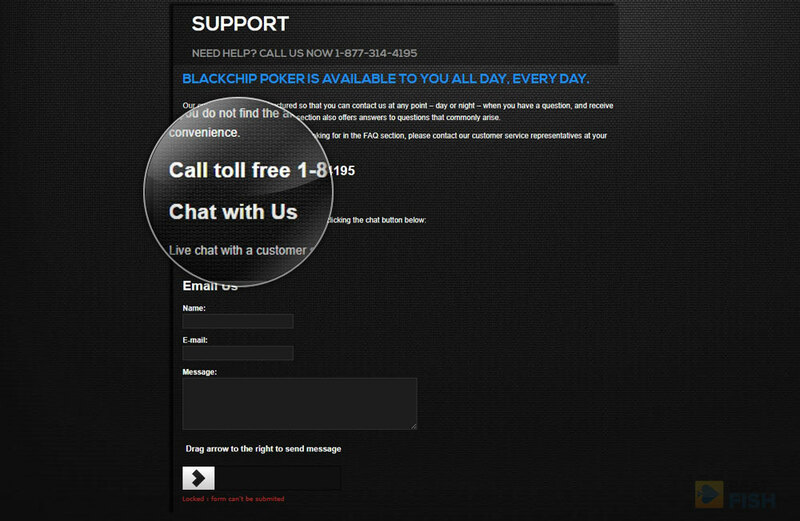 Some of the live chat canned responses are lame, but at least Black Chip Poker offers it along with a phone number. Black Chip Poker passes that initial barrier. How about the smell test? 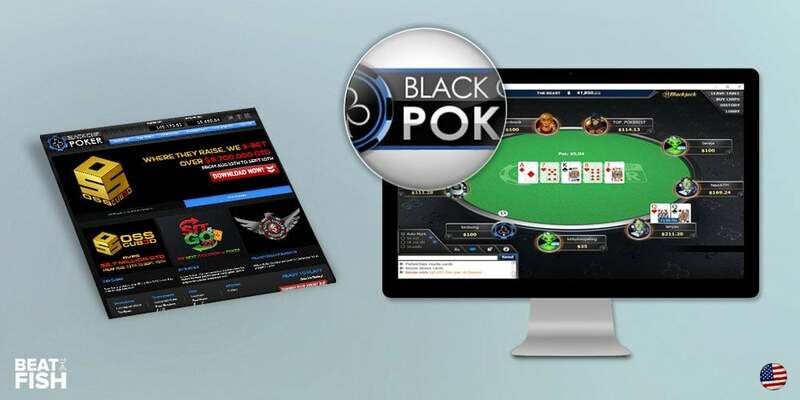 The phone support is 24 hours and seems to be handled at Black Chip Poker – or at least at the Winning Poker Network – rather than being outsourced. Check. Of course, the network would love to help players make deposits at any cost. My antisocial favorite of live chat? It’s present at Black Chip Poker, although unavailable at certain times and usually provides generic cryptic responses. Semi-check. The last resort of email? I got replies in under an hour. Pretty good, but could be improved. They’ve got the steak and the fixings, but they could improve how it’s cooked. In conclusion, my Black Chip Poker review shows this is certainly one of the few legit online poker sites US players have to choose from. 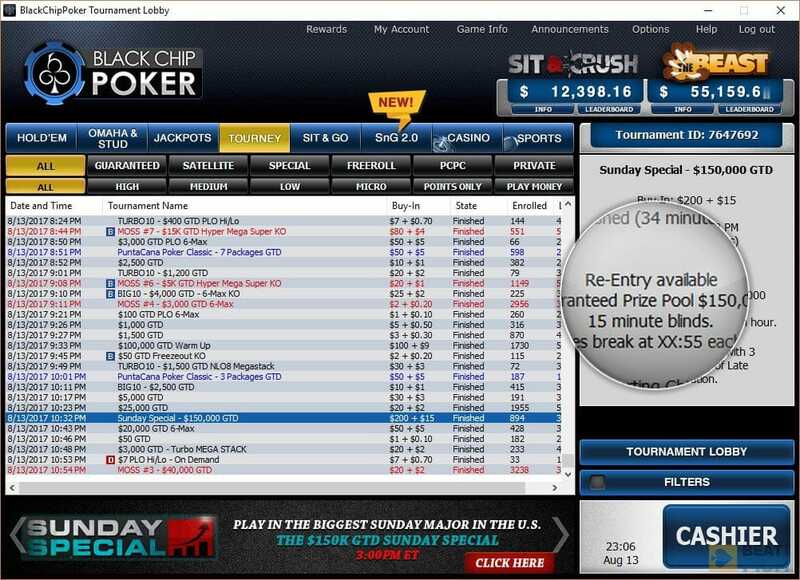 Black Chip is on the Winning Poker Network, which has good traffic and an excellent tournament schedule. 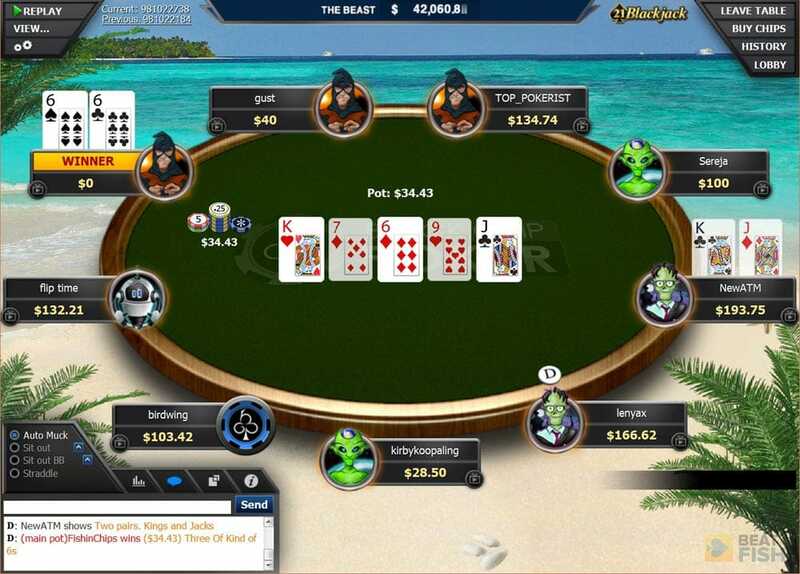 No mobile software and a mediocre deposit bonus stand out, but Blackchip is one of the better poker room options for online players. Trying out Black Chip Poker? Get an exclusive bonus from BTF. 100% up to $1,000, up to 4 private freerolls, and eligibility for all future private freerolls hosted by Beat The Fish.